Blu-Ray Disc - Sometimes termed Blu-Ray or BD, it is the successor to DVD. The name is derived from the use of a blue (violet) laser used to read the discs (as opposed to a red laser used to read DVD discs). A single layer Blur-Ray disc can contain 25Gb data; a dual-layer disc 50Gb of data. Duplication - This is where a master disc is copied (or duplicated) onto blank CD or DVD recordable discs. These blank discs can be printed as required. The duplication process is performed using special dedicated hardware that can duplicate many discs simultaneously. CD-RW - A rewritable version of the CD-R.
CD-R - The recordable version of the CD developed by Taiyo Yuden. The CD-r can be recorded to only once, although the entire disc does not have to be completely recorded in the same session. CD - Abbreviation for the Compact Disc. Originally developed to hold audio data in a digital form, it has evolved to encompass other applications. It contains typically about 700Mb of data. 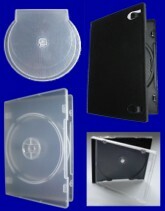 Cake Box - This is a 2 part plastic container for storing CD and DVDs. The base incorporates a central spindle onto which 10, 25, 50 or 100 discs may be placed. A Clear plastic lid then covers the discs and twist-locks to the base part. Blank discs are sometimes shipped in these containers. Business Card CD - A rectangular plastic card incorporating a small CD on one side. The card works in tray-loading CD drives or hub-clip drives, but it not suitable for slot-loading drives. Holding 30Mb, this is a really nifty way of getting your business noticed. Laser - Stands for Light Amplification by Stimulated Emission of Radiation. 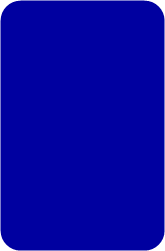 Optical drives use a red laser to read CDs (wavelength 780nm), and DVDs (650 nm), and a violet (the 'blue' in Blu-Ray) laser (405 nm). HD DVD - High Definition DVD. This was to be the successor to DVD, but was mostly discontinued in 2008 after losing out to the rival Blu-Ray format. DVD - Originally the acronym for Digital Video Disc. For a while this was changed to Digital Versatile Disc, but the DVD forum officially decreed in 1999 that DVD did not stand for anything in particular - it was purely the term for their international standard. A single layer DVD contains about 4.7Gb and a dual layer DVD can contain about 8.5Gb. Thermal Printing - The disc is printed in a printer that allows for a single colour - usually black and does not allow for greyscale or shading. It is good for text and simple single colour logos. It is cheaper than thermal re-transfer printing. Replication - This is where a 'glass master' is created from the master disc. This is then used to 'stamp' out each disc which are then printed. The cost of making this glass master means that replication only becomes cost-effective when the quantity required is typically more than 1000. It is worth noting that the turnaround for replicated discs is likely to be longer than for duplicated discs. 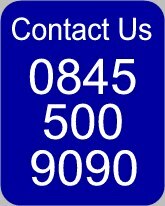 Thermal Re-transfer - Thermal re-transfer printing is a method of printing on to CD and DVD discs. A ribbon comprising of 3 colours - Cyan, Magenta, Yellow (and sometimes black) is used to print on to the underside of a clear plastic film. This clear plastic film is then heat welded on to the disc, or re-transferred. Photographic images look superb using this printing method.